Foscam FI9828W – Is It Really Any Good? 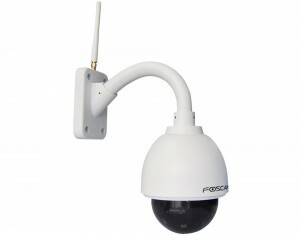 This is Foscam’s second wireless PTZ camera. With the Foscam FI9828W 1.3 PTZ outdoor camera you can use it to manually scan an area and it captures images in 1280 x 960p HD resolution. Like most video systems these days it uses Apple’s H.264 codec to reduce the size of files written to hard disk. That way your hard drive space will last longer, plus there is hardly any noticeable degradation of image quality with h.264 compression. 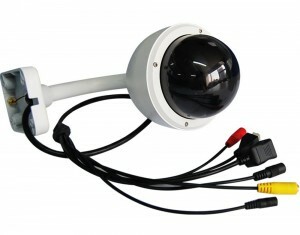 The Foscam FI9828W (IPCAM) is a wireless dome IP camera that can quite easily be connected to the internet. Any problems here and Foscam have excellent customer support. If they can’t guide you through setting up your camera to stream images over the net, they can actually wireless remotely do it themselves. The beauty of IP cameras. It’s a small discreet tasteful looking white camera measuring 5x4x5 inches. This camera has a night vision mode and it has 21 integrated Led lights. It has a range of 8 metres at night and over 20 in daylight. Couple that with support for all major browsers and remote monitoring apps, you can view footage from your smartphone or any connected device that has an Android or OSX operating system. Which just about covers everything tablet or PC orientated. It has a CMOS chipset which enables cameras to produce more true to life colour images. Give a device with a CMOS sensor enough light and it will display crisp, life like high quality images. You can set it to record in motion detection mode and it will record and send you an alert text/email message each time it is activated. If you keep getting constant false alarm trigger alerts sent to your email address you can turn down the motion sensitivity to a lower setting. It has a wide angle field of view thanks to a 3.77mm to 14.8 mm lens. But this viewing angle can be compromised by the cameras tilt range as you’ll see below. Foscam have a few areas they could improve on with this camera. The base of the unit could be increased to house all the cables and make it easier to mount. Tilt angle could be increased to 90 degrees for a better viewing range. Currently it will only tilt about 70°. As the camera points slightly downwards in it’s housing the upward tilt range is too small to accommodate this. The viewing angle is worsened when using the zoom as it zooms into the center of the image. At best you can see about 45 degrees on a horizontal plane. Very strange indeed. Too much panning and zooming is needed to get a clear view of your surroundings due to the restricted tilt angle. Unless you are mounting the Foscam FI9828W a good distance away from the area you need to film, you can run into a few difficulties here. Mounting the camera tilted is fine if you only need to see what’s straight in front of it. Motion detector as in previous generation cameras from Foscam only uploads images and not video. It’s time for this to be sorted to follow motion. Unless you have a very fast wi-fi and internet connection, setting the cameras to the highest quality settings can cause frame dropouts. Could be the 960p data stream overloading wi-fi connections, which is a shame as if you record in HD you want to see the quality in live streams (although this could be a wi-fi/internet speed issue). Foscam pack a lot of quality into a security camera so keenly priced. As usual Foscam are offering excellent support with this camera. There are a few improvements still to be made, especially in the tilt function. Image quality is excellent over day time footage and night time is ok, not amazing but adequate within close proximity. If you have external lights, or additional sensor lights/illuminators night recording will be greatly improved. You can work around the tilt issue if you mount the camera high, but if you have a bungalow or low roofed building this compromise may not work for you. Due to the bulky leads running from the Foscam FI9828W camera you may be better paying for a weatherproof housing or get handy with the DIY to conceal the leads. There are nice touches like being able to adjust the PTZ speed range., You can also check out Foscam’s demo page to see exactly what sort of viewing angle this camera can capture.